Kickstart Jobs, a Gurgaon-based entry-level talent acquisition startup, raised an undisclosed amount of funding in its Series-seed round. Led in collaboration with ah! Ventures, this round saw investments from marquee investors like Vivek Joshi – Founder, Wyzen Tech; Mohit Satyanand – Chairman, Team Works Art; Amit Banati – President (Asia Pacific), Kellogg’s; Arun Khanna – President (Asia), Dun and Bradstreet and a few others including ah! Ventures themselves. India, as a country, in addition to its existing market, has seen a tremendous spurt in its entrepreneurial outlook and is soon becoming a Utopian land of thriving businesses. Unfortunately, this turn of events has still not transcended into the concurrent employment it should encourage, especially in the blue and grey collar jobs market. The core of this rut lies in the fact that there has been no bridge that connects the eager job seekers with the right employers. This is where Kickstart Jobs, a startup focusing on the niche talent acquisition in the entry level workforce, comes into the picture. Started in August 2015, Kickstart Jobs birthed to solve an inherent problem in the highly fragmented entry level workforce ecosystem. The company aims to create a scalable platform to connect entry level candidates with prospective employers and vice versa. Within a year of its commencement, Kickstart Jobs is already operational in the key north Indian territories of Delhi, Noida and Gurgaon, with a workforce of 10 employees and 2 promoters. It has, in this short span of time, registered more than 5000 candidates, enlisted about 3000 vacancies, conducted more than 2000 interviews and boasts of a month on month growth of 100% in the number of candidates scheduled for interviews via their platform. The conceptualization of the enterprise is credited to its two founders, Samriddhi Malhotra and Abhishek Srivastava. Samriddhi Malhotra, an XLRI Jamshedpur alumna, comes with a rich experience of working with numerous rural communities on a grassroot level. This background of hers helps her thoroughly understand the core requirements and competencies of the workforce at the entry level section. Samriddhi heads the product development and operations at Kickstart Jobs. Abhishek Srivastava, a mechanical engineer from ISM Dhanbad, comes with years of experience in managing domestic and international operations at a multinational corporation. Given his wide exposure, he spearheads the strategy and business development at Kickstart Jobs. Kickstart has developed a unique operational proposition, wherein ‘Leaders’ are identified among the communities of job seekers and are in turn collaborated with, to utilize their strong network and connect with the entry level job seekers. The company believes in empowering these leaders with technology, currently in the form of a mobile app, thus bettering the process of data mapping. ah! Ventures is India’s first full-spectrum startup investment network and platform comprising of over 750+ investors, including some of the renowned angels and early-stage VCs. The CLUB ah! Network today has over 10000+ startups, 675+ seed/angel investors and over 80 VCs & institutional investors, making it one of the largest platform of investors and startups. The network last year secured its first profitable exit from Ed-tech venture Harness Handitouch within two years of its investment. CLUB ah! has till date invested close to INR 85 crores in over 25 startups spread across varied industries and domains, including Kickstart Jobs. ah! Ventures is in the process of closing 2 more investments in the coming week. 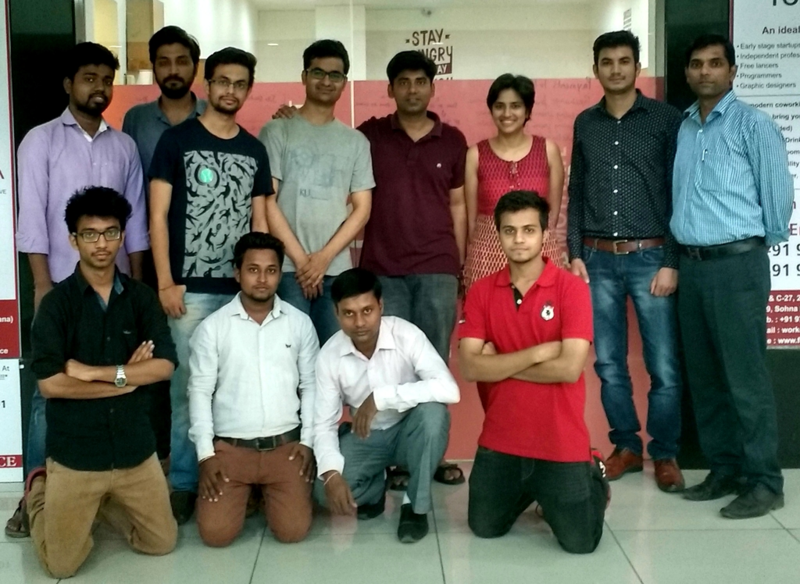 Started in 2015, Kickstart Jobs is a startup founded by by IIT- XLRI alumni. The company focuses on talent acquisition, specific to the blue and grey collared workforce. Birthed to solve an inherent problem in the highly fragmented entry level workforce ecosystem, Kickstart Jobs, aims to create a scalable platform to get people at the entry level, to connect to the employers and vice versa. Within a year of its commencement, Kickstart Jobs is already operational in the key northern territories of Delhi, Noida and Gurgaon with a workforce of 10 employees and 2 promoters. 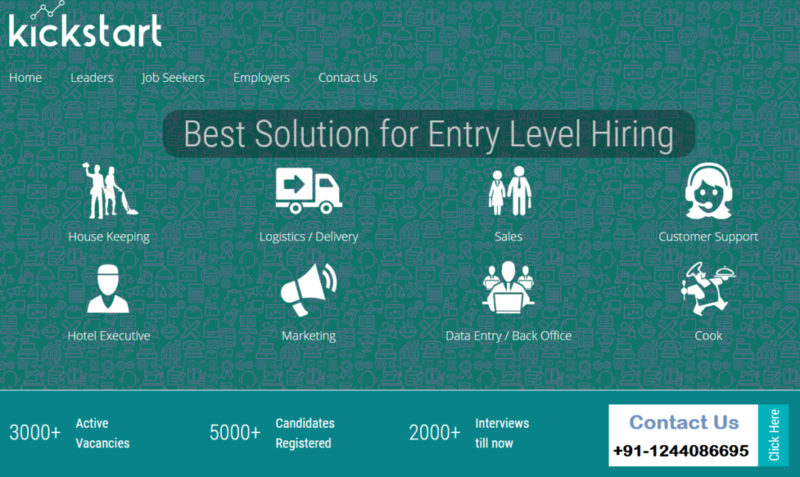 It also boasts of 100% growth in the number of candidates scheduled for interviews via Kickstart.